On 16th May we got two news, one is good and one is bad to us. The good one is that Raspberry Pi Zero finally back in stock and it comes with a new feature (camera interface)! The bad one however, is the PP22 and PP23 testing pads on PiZero has been moved a little bit, which makes our newly launched Zero4U product incompatible with the new Raspberry Pi Zero. The figure below is from the blog post on Pimoroni and it clearly shows what has been changed in the new PiZero. On the same day we got a lot of orders on Zero4U. It was because of the fact that, many people finally got a Raspberry Pi Zero without knowing the Zero4U could not work with it. That day was a long, long day, and we updated the Zero4U product page immediately and included warning information everywhere. Also we emailed to our customers who ordered Zero4U on the same day and asked for confirmation before shipping out their Zero4Us. Also on the same day we decided to manufacture another batch of Zero4U that can work with PiZero V1.3. 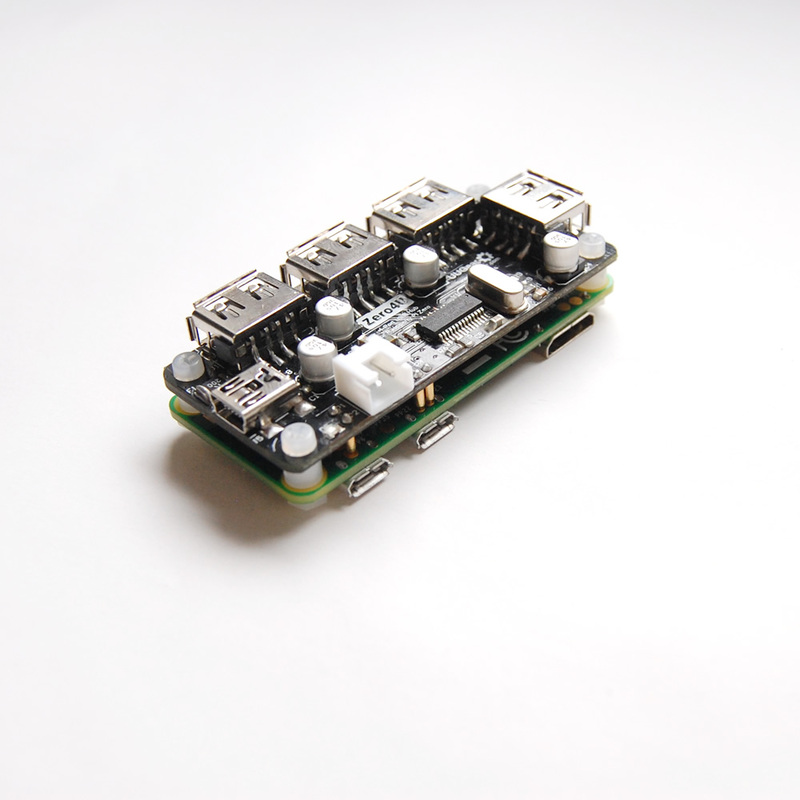 The first problem to solve is to get a new Raspberry Pi Zero, so we could update our design. Great thanks to our partner ThePiHut, they kindly sent us a new PiZero on the other day. We were a little out of luck as the United Kingdom Royal Mail system didn’t work well in the coming few days, and we finally got the new PiZero after 10 days waiting. We finished the design update on the same day we got the new PiZero, and submitted it to the factory. We did our best to accelerate the process, and then wait with hope. The new design changes the position of two pogo pins so they can connect to the PP22 and PP23 testing pads on the PiZero V1.3. After more than 2 weeks waiting, today we finally get the new Zero4U back from the factory! We still have the older version of Zero4U in stock, just in case you have PiZero V1.2 and want to get a USB hub for it. We will make the testings and packaging in the coming few days, and we are expecting to begin the shipping from Thursday (2016.6.16). 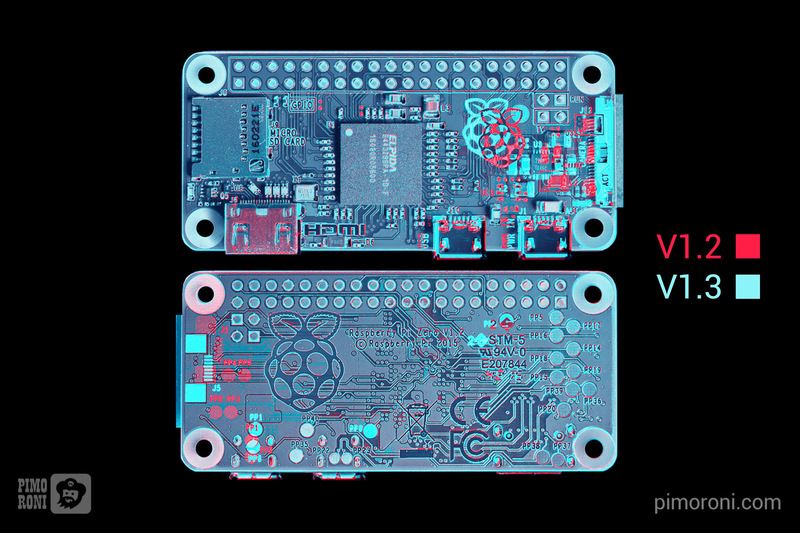 Now you can pre-order your Zero4U for PiZero V1.3, so you can get one as soon as possible. If you still want Zero4U for PiZero V1.2, you can buy it here. You can click the figure to view the details, there is also an assembly guide on its product page. New Product: Zero4U is Coming Soon! 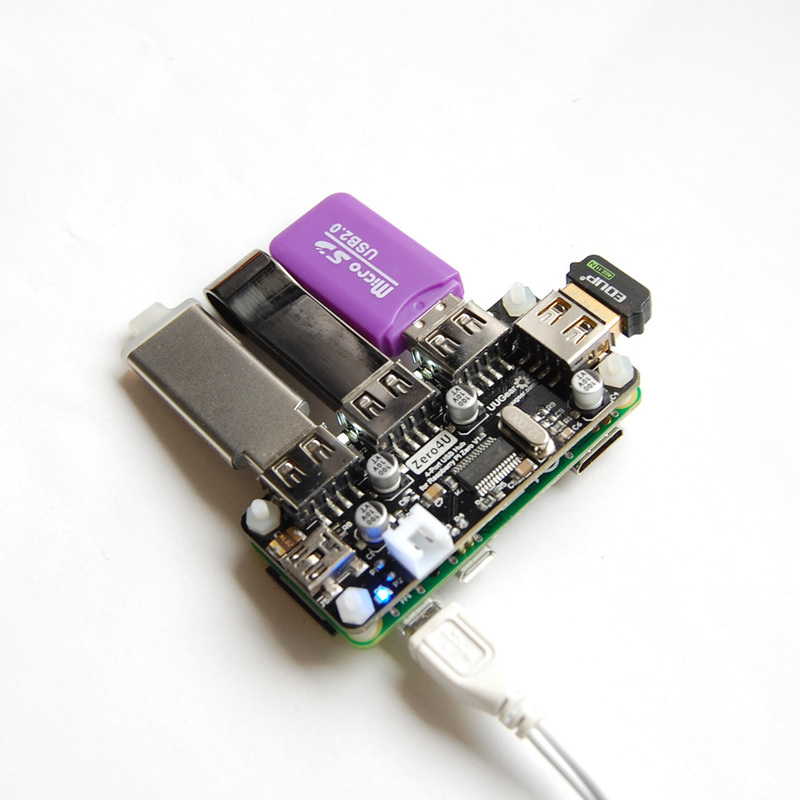 About two months ago, we released our new 7-port USB hub for Raspberry Pi. Today we are going to announce another new product: Zero4U! As implied by its name, this new product is designed for Raspberry Pi Zero. More specifically, it is a 4-port USB hub for Raspberry Pi Zero and it is designed to build Raspberry Pi Zero with 4 USB ports. 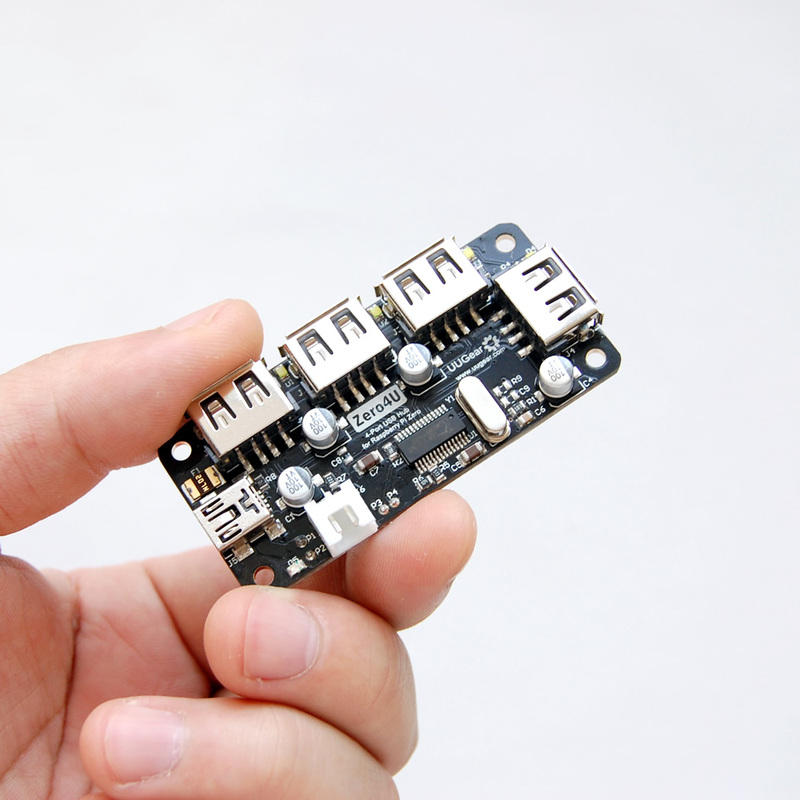 This USB hub has 4 pogo pins on its back, and they will contact to the testing pads on Raspberry Pi Zero, if you mount them together, back to back. 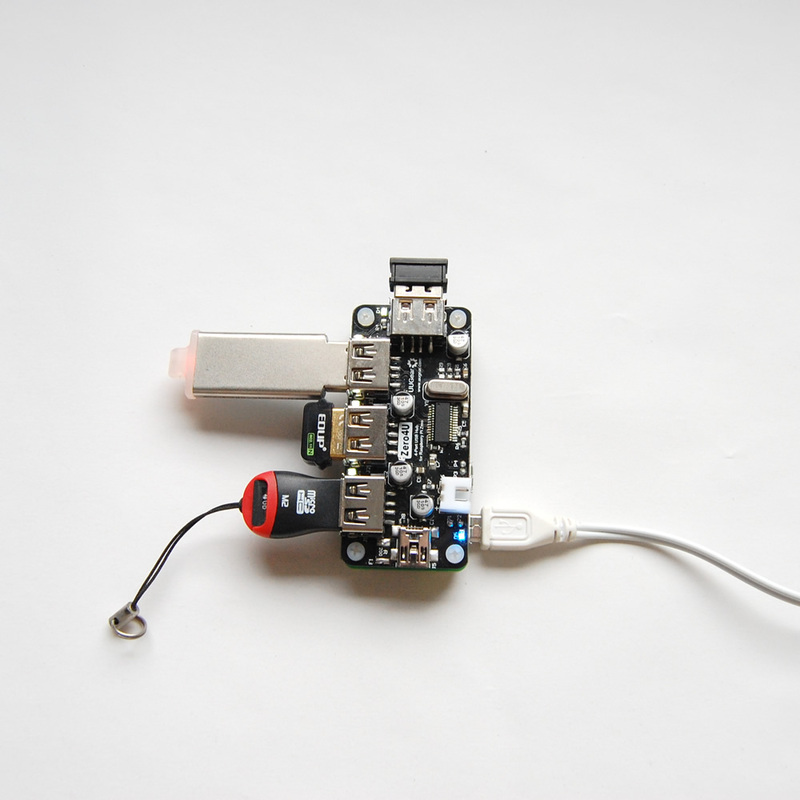 These pogo pins will establish the data and power connections between USB hub and Raspberry Pi Zero, so you don’t need to solder wires between them any more. The USB hub will take power from Raspberry Pi directly (via the pogo pins), and can output up to 2A current in total for all USB ports. There is a blue LED on board that will work as a power indicator (which Raspberry Pi Zero doesn’t have). Besides each USB port, there is a white LED that will work as data indicator. If you connect USB device to any USB port, its data indicator will light up. 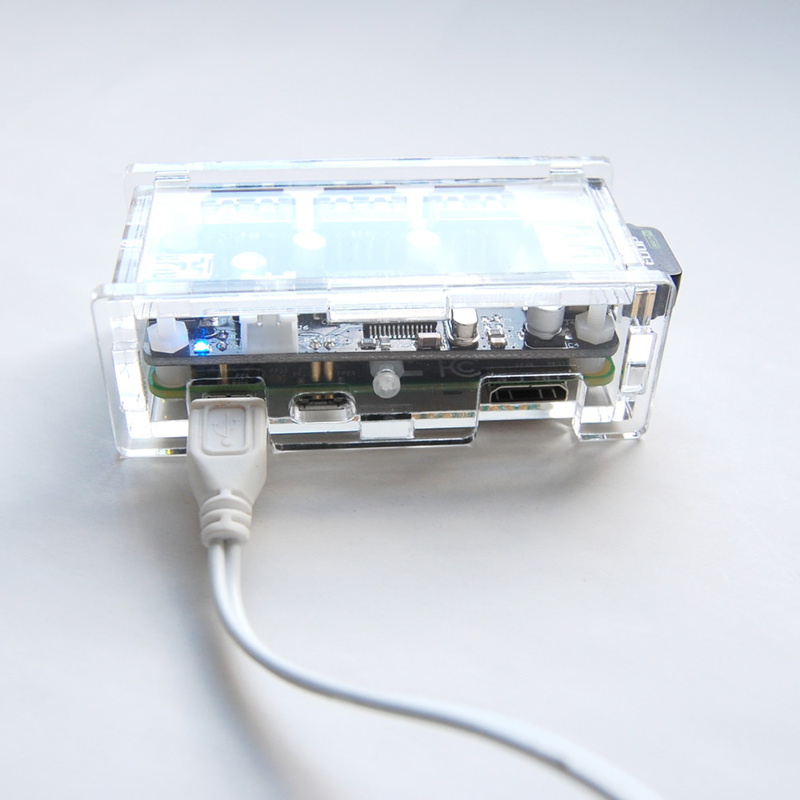 Although this USB hub is designed for Raspberry Pi Zero, you can use it on other computers. Just use a USB cable to connect the mini USB port to the up-stream USB port, then it is ready to rock. The price for this USB hub is 200 CZK (about 7.40 EUR, or 8.40 USD, or 5.80 GBP), and the package also includes the plastic nuts, screws and standoffs for mounting the USB hub and Raspberry Pi Zero together. At the time being, this product is not in stock yet, but we are working hard to make that happen. Hopefully it will be in stock in two weeks. If you want, you can back-order it now, and we will ship it to you as long as it gets stocked.